LaMothe Surrogacy Consulting's main goal is to educate and guide Intended Parents in their search for information on Third Party Family Building. Our most popular package is a 5 hour session via phone consults along with educational materials sent directly to the Intended Parents home. These materials are then reviewed together with an experienced consultant. Questions, concerns, and individual issues are addressed. This is the perfect program for International as well as Domestic Intended Parents who want to learn about their surrogacy options here in the United States. Our clients also come from various agencies, clinics and attorneys who often don't have the time or resources to spend hours to fully educate Intended Parents in every aspect of the surrogacy journey. All you need to know about the surrogacy process explained! 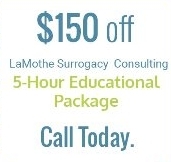 LaMothe Surrogacy Consulting offers an entire surrogacy management package. This package is offered to those who have already found their own surrogate though their own search, be it a family member, friend, or through online/Internet classified ads. This Full Service Package includes the initial educational package plus assisting in all of the details of a surrogate arrangement without the matching process. Our package lasts from the time you pay our retainer, throughout the medical and psychological testing, contract negotiation, embryo transfers (max 2 transfers with the same surrogate), pregnancy and birth. Attending appointments and birth are included in this service with you only paying the additional travel expenses. First installment due at retaining LaMothe Surrogacy Consulting and the 2nd Installment due at the signing of the surrogacy contract between your gestational carrier and yourself. What is the usual amount of compensation expected to be paid to a Gestational Carrier? What are the medications involved and are there any side effects? What are the over all costs involved in a surrogacy arrangement? How much do we need to deposit into the Escrow account? What types of issues are commonly addressed in a surrogacy contract? What questions should I ask my clinic now that I am considering surrogacy? What should I ask my OB now that I want to be a surrogate? How do I find a qualified surrogate? What questions should I ask a surrogacy Agency that I am considering hiring? What about asking my surrogate to carry donated embryos? What about asking my surrogate to carry donated eggs? What are the pros and cons of Traditional Surrogacy? How is travel arranged in a long distance surrogacy situation? How do we find a qualified psychologist for the evaluation? 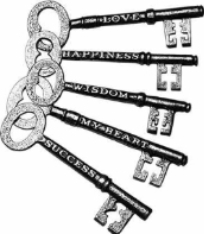 Who should hold the money~ Recommended Escrow Services? Where can we find a qualified reproductive attorney? How do we find a clinic in our surrogates area for monitoring? What appointments should the IP's really attend? What if IPs are located out of state or out of the country? What do we do if there is a break down in communication between any of the parties involved? What happens if my surrogate/carrier is in breach of contract? What happens if my Intended Parents are hard to communicate with? What about insurance for the surrogate and baby? What about after the birth, what type of relationship can be expected? What if we want our surrogate to pump breast milk? When do we close the Escrow account?